Easton had an average of 69 homes for sale in the month of January. 16 were new listings, 5 homes are on Show (continue to show but on deposit). 5 homes are currently on Deposit ( not showing) for the month of January. 8 homes closed title in January. Information take from the Consolidated multiple listing service. Jonathan Deak at Coldwell Banker Westport. 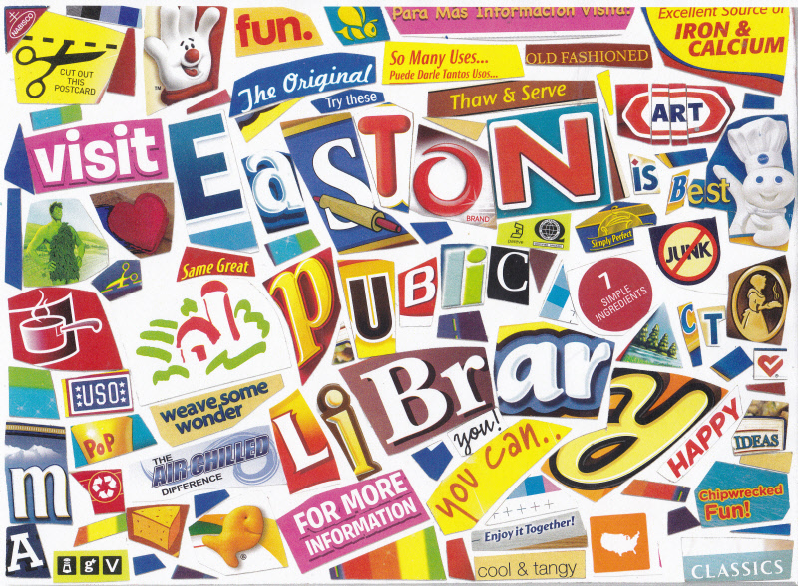 Pop artist Michael Albert returns to the Easton Public Library to conduct a workshop on making cereal box collages. The workshop is on Thursday, February 21st, from 4:30 to 6:30p.m., for kids in grades 4-8. Albert has been creating art since his college days at New York University, where he studied business. His art has evolved from doodles and pen and ink, to serious wax oil drawings, to the cubist mosaic cereal box collages for which he is known. Registration is required. To register, use the Library’s Online Event Calendar, or contact Elizabeth Portillo at 203-261-0134, or via email at eportillo@eastonlibrary.org.